Galway County Council was named the winner of the national Promoting Economic Development Award for the Galway, West of Ireland European Region of Gastronomy (ERoG) project at the Chambers Ireland Excellence in Local Government Awards 2018 announced on Thursday the 22nd of November. There were five local authorities shortlisted for the Promoting Economic Development Award. 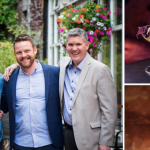 Galway County Council’s European Region of Gastronomy project was declared the winner for being the project that has best enhanced economic development in their respective local authority, and that has delivered innovative projects to support the local economy. The Chambers Ireland Excellence in Local Government Awards showcase best practice in local government and recognise the skills, hard work, innovation and enthusiasm within local government that can often go unrecognised. The Excellence in Local Government Awards are held in conjunction with the Department of Housing, Planning and Local Government. 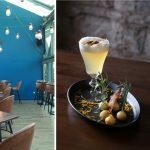 For more information about Galway, West of Ireland European Region of Gastronomy, see the official website www.galwaygastronomy.ie and follow @gastronomy2018 on social media.